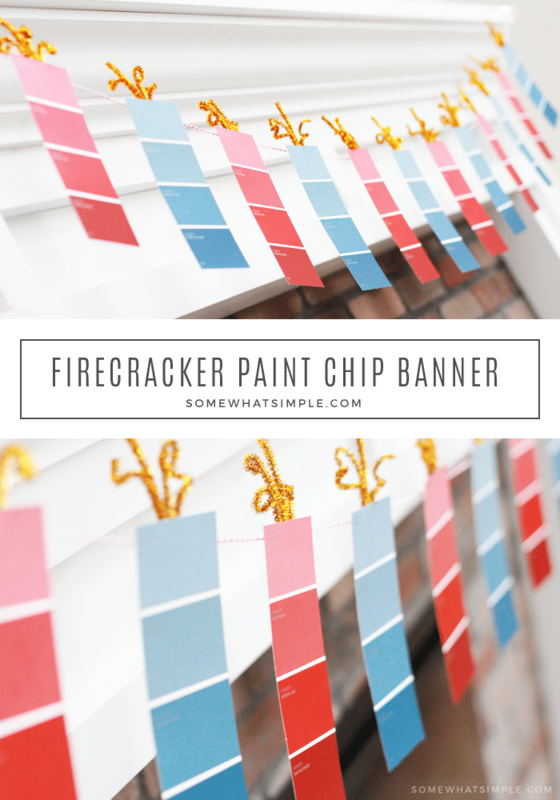 You’re going to love how simple + easy it is to make this adorable firecracker paint chip banner! 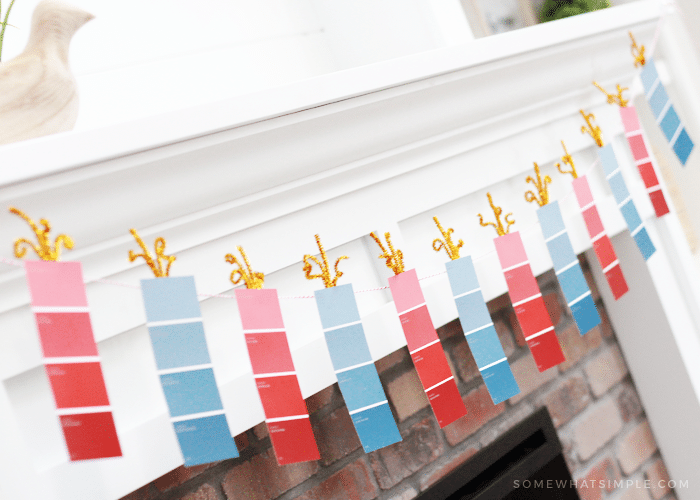 It’s the perfect 4th of July decoration for any home! Headed to the hardware store anytime soon? 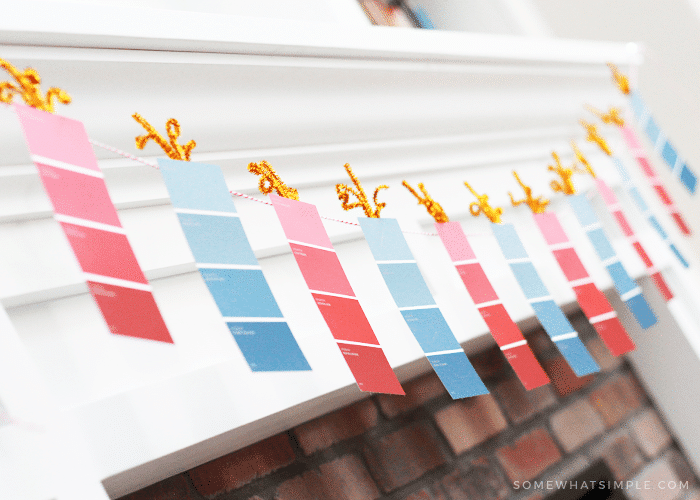 Then you’re definitely going to want to grab some paint chip color swatches! Once you’ve got those, and seriously like 5 min, you can have a darling banner for your home! Since we put in our built-ins with a fireplace, I’ve loved coming up with simple and quick ways to decorate it for every holiday or season! And this paint chip banner ended up being the perfect accessory. 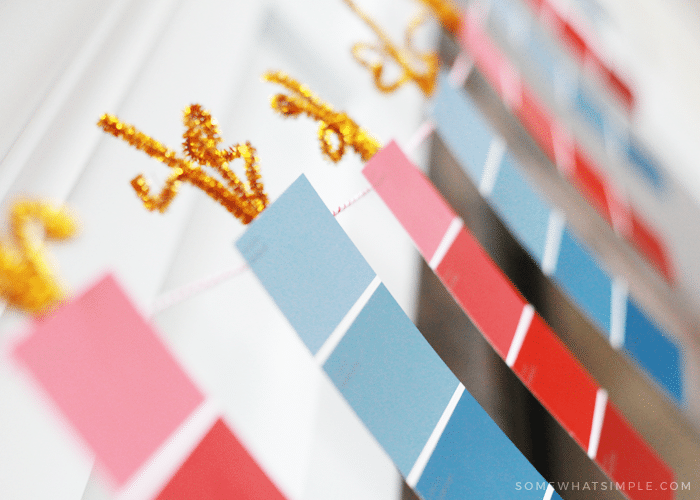 Paint chip banner – an easy 4th of July decoration project! 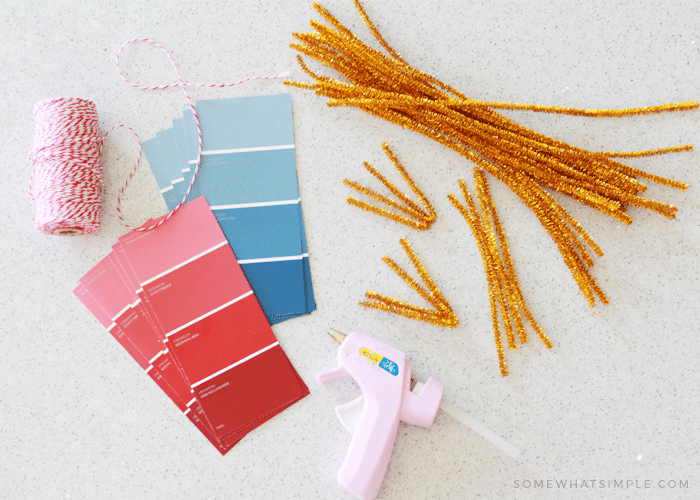 First, grab your pipe cleaners – you’ll need one for every firecracker you want to make. Cut a pipe cleaner in half, and then fold both halves to make a ‘v’. Using your hot glue gun, glue the 2 V’s to the top of each paint swatch. Once dry, you can leave the pipe cleaners straight, or you can curl and twist them for an added firework-y touch. After those are finished, space your paint chip swatches out evenly on your table or counter, then measure your string or twine, adding an extra foot in length on each side, and then cut. Place a dab of hot glue on the back of your firecrackers, then lay your string or twine on top. 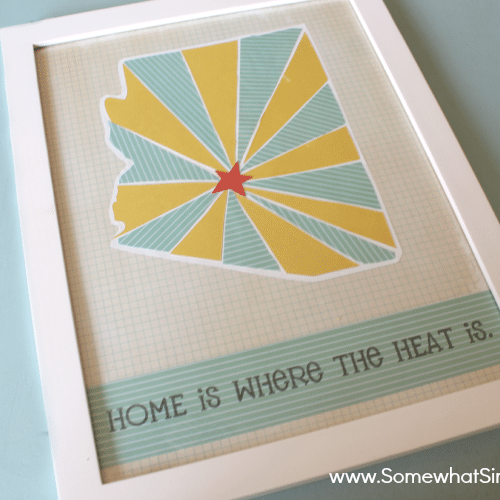 Wait until the glue is dry, and then hang up in your home! 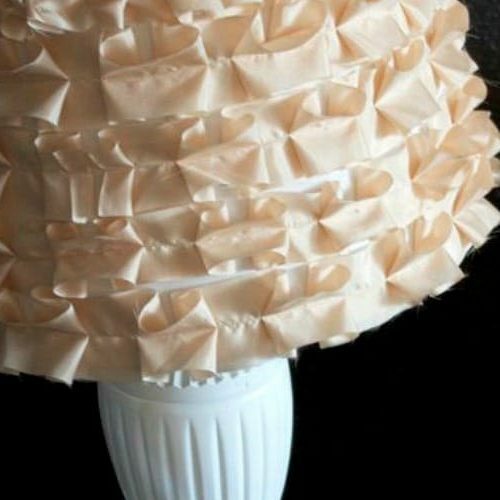 You can even embellish with pom poms, or tassels, or more ribbon if you want. I just love the simplicity of this, so I’m going to keep these like this! How darling is this?! 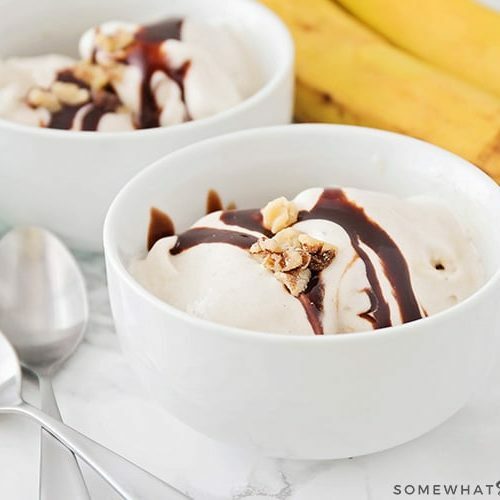 I love a good project that is so easy and doesn’t take a good chunk of my time! 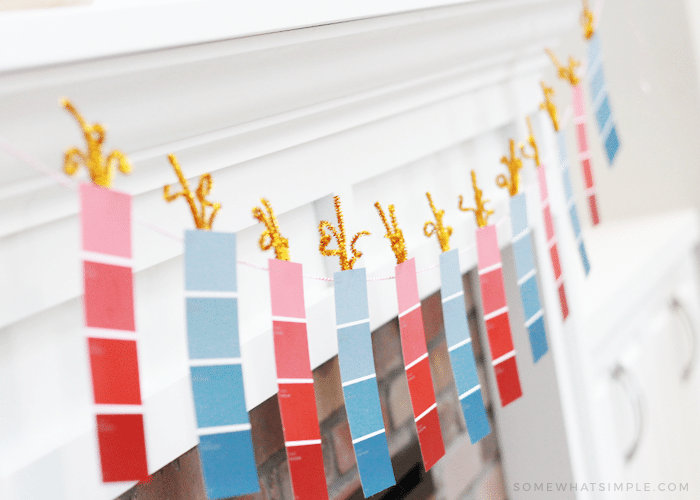 I also love how many different types of blues + reds there are out there – you can find any shade or hue to match your home or other 4th of July decorations!